It's safe to say that I left Los Angeles a little apprehensive about visiting the Mid-Western city of Columbus. But I couldn't turn down the opportunity for work-sponsored travel, even if that meant four days in Columbus Ohio. Now, you may be saying to yourself..."Columbus?" Travel is travel, though. Right? The truth was that I'd never really considered Columbus as a travel destination. It definitely wasn't on the "must-visit" list. But saying "no" to employer-sponsored travel seemed silly, even if it meant going somewhere off the beaten travel path. Luckily, this quirky, cool Mid-West city caught me by surprise. 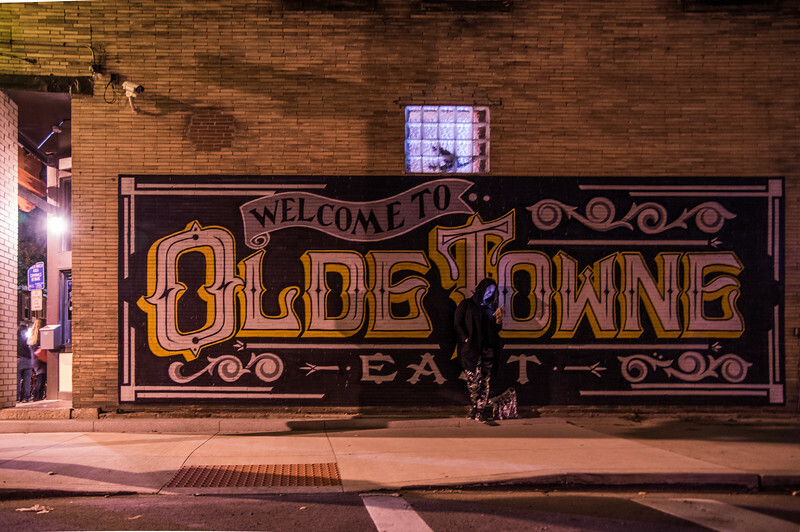 Check out my Columbus Ohio itinerary for all things beer, vintage, and cool culture! Luckily, Columbus Ohio was a huge surprise. And, like a good traveler, I learned something. Never underestimate how much fun and adventure you can find, even in places you didn't expect to find any. By being curious about and open to the culture of the city, my colleague and I were able to leave with several travel memories and a few fun souvenirs. Making the most out of work travel can sometimes be tough. You're typically busy during peak tourism hours and tired after a long day of meetings. Often, you may find yourself in less-than-hip areas of town because of good conference rates or easy access to airports. Time to explore is limited due to hectic schedules and meetings. But getting out to explore a city doesn't have to be hard, especially now that Uber and Lyft make transportation a breeze. With a little research and planning, a work trip can be a great cost-effective travel experience! Columbus Ohio was full of amazingly friendly people eager to share their favorite things about the city. Several of the things listed below were recommendations made by Uber drivers, hotel staff, and barkeeps. The population was more diverse and much larger than expected, too. I had no idea that nearly 1 million people call Columbus Ohio home. Expect to drink some delicious craft beer while visiting Columbus Ohio. Every single brew we had was on-point. My absolute favorite had to be The Scientist IPA by SeventhSon's Brewing. The Brewery District is full of craft breweries ready to show you their stuff. Be sure to check out Ohio Craft Beer's EPIC list of breweries to help you plan your visit. Be sure to check out some of the local grub. Most of the things we ate were locally grown, organic, or artfully crafted. A few standouts were Yellow Brick Pizza, Bareburger and Northstar Café. I was so stoked to find out that Bareburger was coming to Santa Monica. My burger was stellar! Another highly recommended spot was Lindey's, but we didn't have enough time to check it out, too. Columbus Ohio was filled with amazingly affordable vintage and artisan shopping. 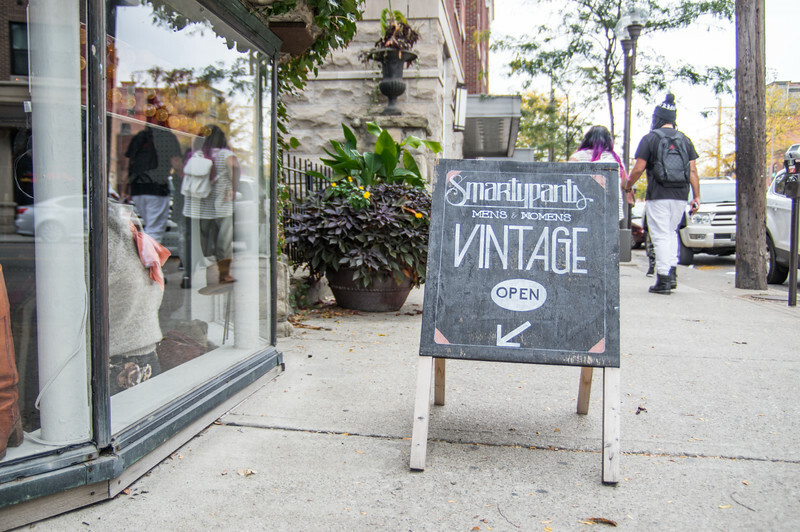 With everything from furs to jean jackets, the cool vintage shops that line the Short North will not disappoint vintage lovers. Some stand out vintage shopping can be found at Glean and Grandview Mercantile. For more information about the stellar vintage shopping, check out my complete Short North shopping guide for vintage and artisan shopping! One thing was evident about Columbus Ohio: the people there were smart! Most everyone we talked to seemed informed and knowledgeable about the history and culture of their city. We even talked about politics with a few! One suggestion we got from an intellectual local was to check out The Book Loft, a locally owned bookstore that has become an institution for the learned locals of Columbus Ohio. Hopefully you've started your #holidayshopping already! Might I suggest a good book for your special someone? If you're in #ColumbusOhio, be sure to stop by @thebookloft to find a new treasure for your loved one's shelves. If you need suggestions for good reads check out my #wanderfulreads archives on the blog! This city seems filled with fun local bars and pubs. My girl and I had a blast playing trivia at World of Beer. And if you like authentic neighborhood pubs, look no further than Club 185. 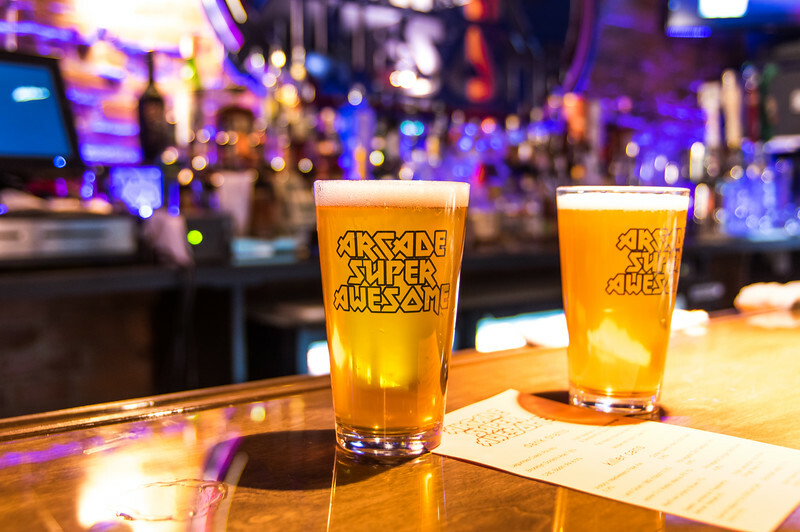 But, by far, the most fun was had at Arcade Super Awesome, which really should get a blog post of its own! 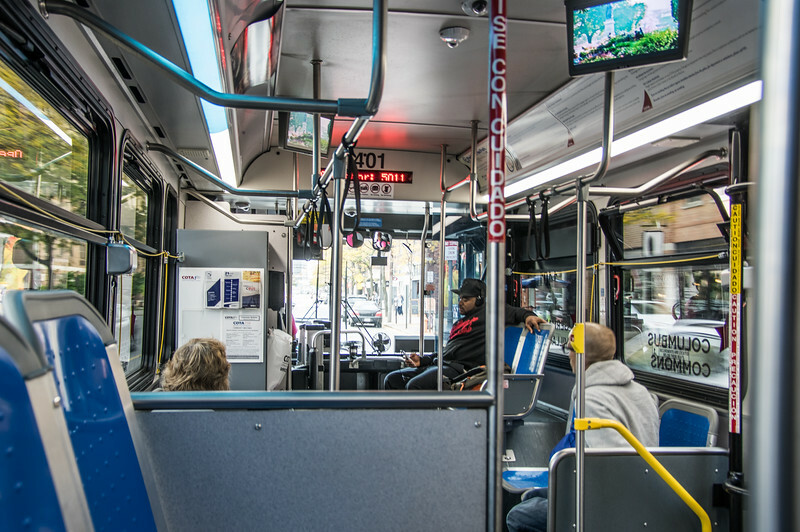 I loved the C-Bus, a convenient city bus that runs up/down High St. Not only is it FREE, but the C-Bus also runs frequently and stops at the major touristy areas. 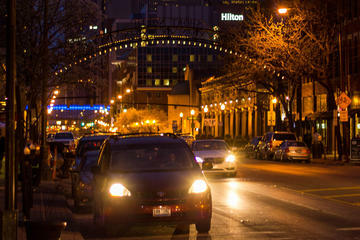 Columbus Ohio has made it easy for tourists to enjoy the city. Stellar service like this deserves a shout-out. 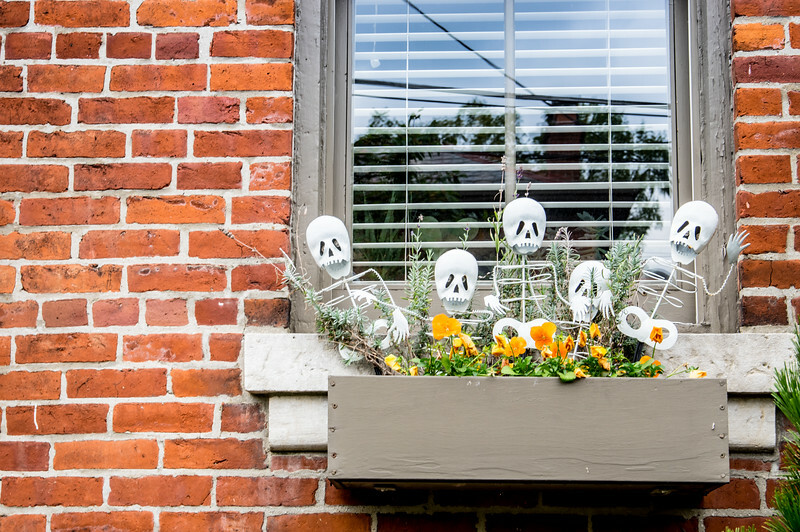 The German Village is THE spot for a glimpse of historic Columbus Ohio. 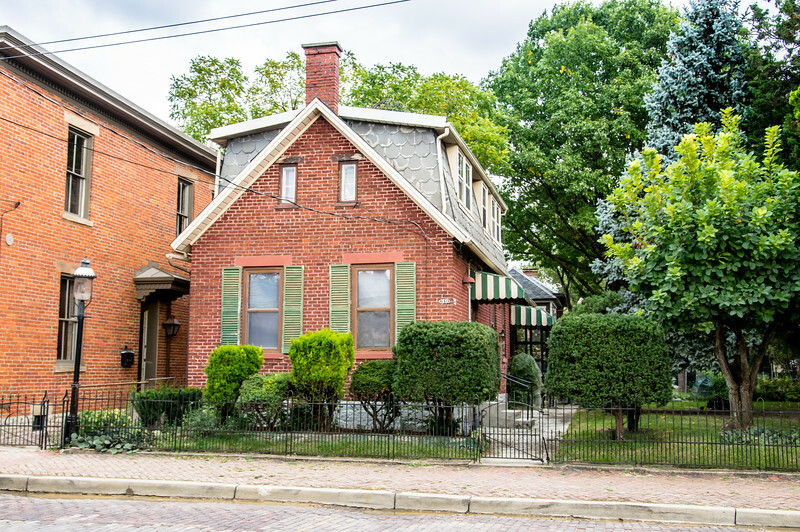 This charming neighborhood is full of sweet little mid-19th-century masonry homes and stunning gardens. Stroll to your heart's delight in this pedestrian-friendly neighborhood. Bring your camera and your walking shoes. And last but not least, don't miss the Short North. The artistic hub of Columbus Ohio filled my traveler's heart with glee. Everything about this amazing Arts District was awesome, from the street art to the shopping. It truly deserves recognition and attention for being such a great example of community. Do yourself a favor and choose to stay somewhere close to all the action. The Arena District and the Convention Center area definitely had an abundance of lodging to suit any budget. 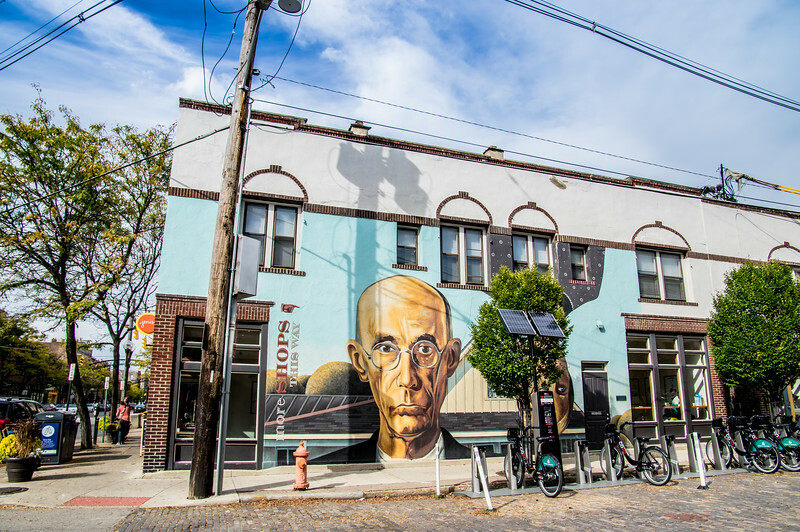 Check out a few of the best boutique hotels in Columbus! Don't Miss My other US Travel Guides! Like this post? If so, be sure to check out my other travel articles! Plus, be sure to . You'll get access to all my freebies, including my best travel hacks, photography tips, and more. And don't forget to connect with me on Instagram, Pinterest, and Facebook! Where to Stay in Munich? Hotel Laimer Hof, Of Course! I bet Columbus could be pretty interesting it isn’t a huge tourist attraction which means lots of different interesting things. It has that small town feel in a “bigger” city. I like that you included the vintage shops. You hit the nail on the head @travelationship:disqus The vintage was too die for! Vintage in Los Angeles is so picked over and pricey. I was in hog heaven. Did seem like a nice place. Glad you enjoyed it. If I ever go back, I’ll know what to look for. Thanks. I’ve been hearing so much about Columbus these days but I’ve yet to get there myself. I love a good beer and the local eateries sound excellent! This sounds like my kinda place! Good to hear that you enjoyed it even though it wasn’t on your must see list! I love it when a place surprises me! @nikki_godwin:disqus I can definitely say it wasn’t somewhere I ever once thought of going. It really did surprise both me and my friend. Months later we are still telling others about it and reminiscing. I have NEVER thought of the midwest as being a place that I would get a local microbrew. I am sooooo biased about PNW beers. Maybe I need to open my mind. Wow….the town seems so cool through your post. Thanks for sharing the same. 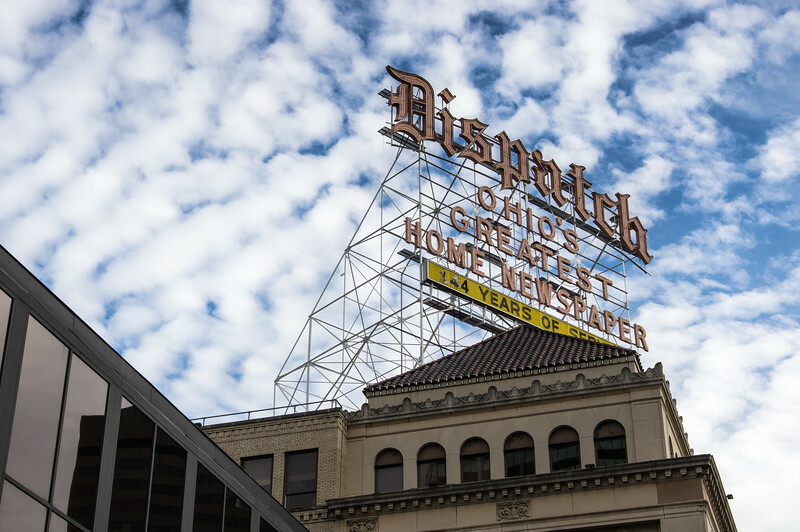 Thanks @amibhat:disqus It really was a terrific place to visit (and maybe stay). This is perfect timing that I see this post now! My Dad and I were just talking about Columbus yesterday as we have some family that lives there and would love to visit! Columbus seems to be a charming city, I love these cities which retain their old world charm. I loved Florence in Italy which I personally rate as one of the most beautiful cities in the world. Yay! I am in the hospitality industry and moved to C-Bus about 6 years ago. I absolutely love it here! One of the biggest driving forces in the community is OSU as each fall, it brings in over 40,000 students of every race and ethnicity. to our already large metropolis (did you know we are the 15th largest city in the country?) Subsequently, we have a huge array of restaurants, ethnic grocers, shops, etc to keep everyone happy. Fast forward to graduation, many of them just stay which creates this smart, professional, creative, LGBT friendly, and ethnically diverse population. Now, it hasn’t always been pretty and if the last time you were here was more than 10 years ago, you are probably really confused by all of this. We are very lucky to have a balanced city government that is socially liberal but very business friendly so lots of money is being poured into the community from many different sources. New areas, renovation of old areas, lots of festivals, and a community that is open to trying new things. If you want history, art, great food and beer, nature, kid friendly museums and zoos, neat architecture, miles and miles of paved river trails to run and bike, beautiful rivers to canoe, and if you can drive about 45 minutes, gorgeous hills and caves to explore (google “hocking hills” – it is totally not what you will expect when you think “Ohio”) , then Columbus should be your next weekend getaway. Missy, everything you said here seems soooo amazing! Everyone seemed so surprised when I came home raving about CBus, but I was really, really impressed. It seemed like the kind of city I could easily live in for several of the reasons you wrote here. I really loved the city’s vibrant youth culture and the general intellect of the city (yes, that is a thing). It seems hungry and eager and spoke to my love of Americana. It’s exactly what I hoped it would be and more! thanks for your beautiful comment and for the recommendations. I hope to get back there in the future!